It’s Saturday! Have some cat faces. I decided that the poor little cat eyes looked blank and disturbing without any color, so I went ahead and filled in with cotton floss. Hopefully it looks shiny next to the wool I’m using for the fur. 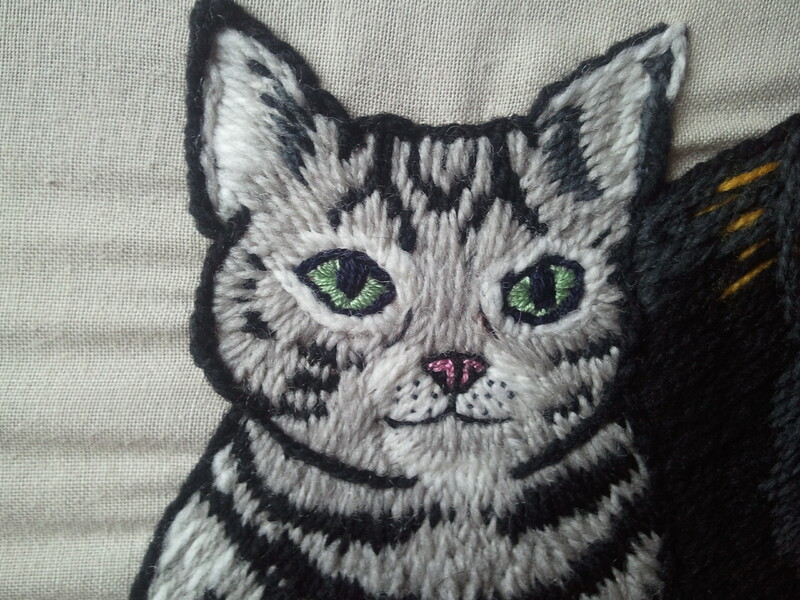 For the eyes, I radiated straight stitches out from the pupil, and for the noses, I filled in with split stitch. 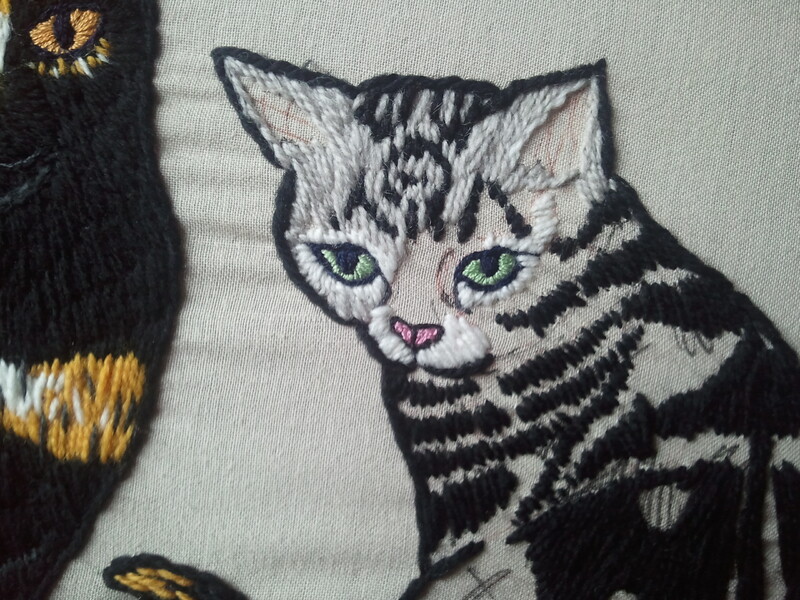 I’ve filled in number of the black stripes on the right-hand cat and now just have loads of grey and white to stitch. Oh, they are lovely! I think what you did works perfectly. And yay! for Sharktopus, utter silliness and entertaining, too. If it’s a movie on the SyFy channel involving predators gone wrong or inimical weather, I’m so there. Bonus points if it features Lou Diamond Phillips as a sheriff. (Seriously, he must own his own costume by now.) Perfect stitching movies. the cotton floss for the eyes was a great call- looks perfect next to the wool!